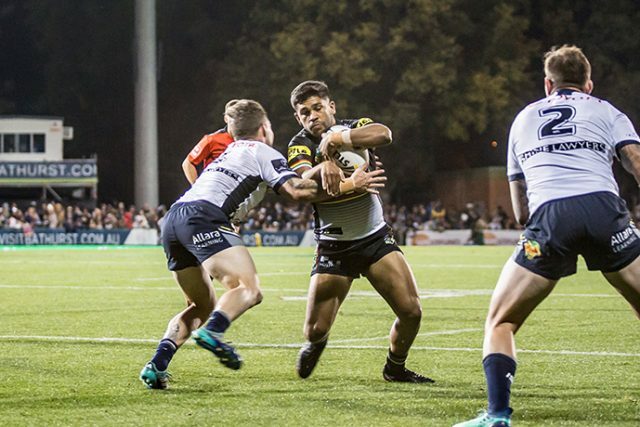 The Panthers went down 26-20 to North Queensland in Bathurst last Friday night, blowing out their biggest losing margin of the season to six points. 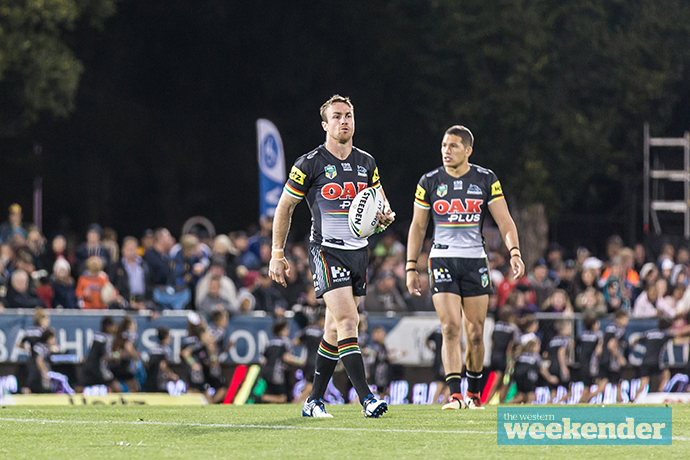 That’s right – the three losses Penrith have suffered this season have been by just two, four and six points. It’s an impressive record that proves Anthony Griffin has his team in a winning headspace every single week. Penrith sit in third spot on the competition ladder and despite a mounting injury toll head to McDonald Jones Stadium on Friday night as favourites against a Newcastle side that is showing much more fight and enthusiasm than in previous seasons. But Nathan Brown’s side faces an uphill battle to make the Finals in 2018 with halfback Mitchell Pearce sidelined for an extended period through injury. Against the Rabbitohs last weekend they proved they just don’t have the killer plays required to win games against quality opposition without Pearce on the field. Friday’s match has all the indications of a close encounter. As has been well documented, Penrith are significantly disrupted by injury, while it’s starting to become evident that James Maloney can’t run this side on his own. The Cowboys did a good job targeting him last Friday and the Panthers desperately need a second playmaker to take the pressure off him (thankfully, they’ll get it when Nathan Cleary returns very soon). Here’s another big issue: Penrith remain horribly ill-disciplined. They have given away more penalties this season than any other side in the competition and they’re also fifth in handling errors and third in missed tackles, so it’s evident that the side still has plenty to improve on to be a realistic contender for the title in 2018. But belying the statistics is the headspace I mentioned earlier. Half the battle each week is a mental one and Penrith, despite the constant injuries, poor discipline and line-up changes, appear almost unfazed by whatever is put in front of them. It is something every fan should be proud of and certainly something Griffin should be pleased with. The grit and determination Penrith have displayed this season has won them games they would have lost just a couple of years ago. This Panthers team is full of fighters who never give up, and even down 20-0 last Friday night you just knew they were going to make a fist of things in the second half. 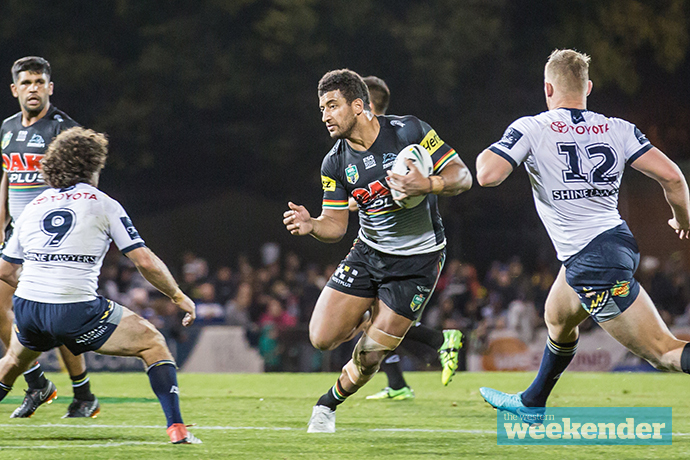 Unfortunately, everything caught up with Penrith in the end while the Cowboys also found the form they’ve been lacking for most of the season. Penrith have been boosted with the naming of Trent Merrin at prop, despite undergoing surgery on an injured finger earlier this week. With Jack Hetherington out suspended and Moses Leota joining the injury list, Anthony Griffin has opted to bring Jarome Luai into the 17 but don’t be surprised if there’s a few late changes to the starting side. Newcastle meanwhile have named Brock Lamb to return at halfback, while Josh King has been called up at prop with Jacob Lillyman dropped. I’m a little wary of this game and always think Newcastle put up a good fight at home. I’m tipping a Penrith win, but I don’t think the Knights will make it easy. The Panthers and Knights do battle at McDonald Jones Stadium at 6pm on Friday, May 11.